Mimi Ausland, a 12 year old girl from Bend, Oregon, wanted to help feed the hungry animals at her local animal shelter. “There are 10’s of thousands of dogs and cats in animal shelters across the country, all needing to be fed a good meal.” Say hello to freekibble .com and freekibblekat.com. Mimi Launched freekibble on April 01, 2008. On May 14, she delivered her first round of kibble to the Humane Society of Central Oregon: 240 lbs. and enough to feed 456 dogs for one day! Since then and as of August 09, 2010, freekibble and freekibblekat, have raised over 530,000 lbs. (265 tons!!!) of kibble. That is an incredible 401,353,820 pieces of kibble donated since April 1, 2008! Mimi Ausland, a 12 year old girl from Bend, Oregon, wanted to help feed the hungry animals at her local animal shelter. “There are 10’s of thousands of dogs and cats in animal shelters across the country, all needing to be fed a good meal.” Say hello to freekibble.com and freekibblekat.com. Mimi Launched freekibble on April 01, 2008. On May 14, she delivered her first round of kibble to the Humane Society of Central Oregon: 240 lbs. worth, enough to feed 456 dogs for one day! Since then and as of August 09, 2010, freekibble and freekibblekat, have raised over 530,000 lbs. (265 tons!!!) of kibble. That is an incredible 401,353,820 pieces of kibble donated since April 1, 2008! Freekibble.com’s primary mission is to provide good, healthy food for dogs and cats to those shelters who are working so hard to see that none of them go hungry – they need our help. In addition to providing free kibble to the Humane Society of Central Oregon, they’ve added 10 new shelters to the program (from Oregon to Florida!) and plan to expand the program to many more! Thanks to everyone for supporting freekibble by playing the trivia game – every piece of kibble counts! 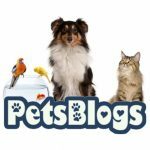 Maybe you’ve noticed the Free Kibble links right here on PetsBlogs. We added MEOW Trivia and BOW WOW Trivia a long time ago because we loved the idea that learning a cool fact allowed us to get a piece of kibble donated to a shelter and we encourage everyone who ever visited PetsBlogs to get kibble donated, too. If you’ve never given it a try, go give it a whirl. Go ahead . . . we’ll wait! Freekibble is partnering with Tails Magazine in an effort to raise awareness AND kibble for shelter pets. The campaign goal was to send 100,000 letters to the President asking for a Presidential Proclamation for a NATIONAL ADOPT A SHELTER PET DAY, by Sept. 3. They reached their goal of 100,000 emails in just 18 days! As of August 17 there have been 152,014 letters and emails sent. Now, you can make an even greater impact by campaigning to President Barack Obama and asking him to declare April 30 National Adopt a Shelter Pet Day. Email your letter (you can do it everyday) and let’s show the President how much we care about a day dedicated to adopting shelter pets – and get that Proclamation! When pet lovers work together, their voices are most definitely heard. Visit Tails Magazine’s Letters For Pets Page to send a pre-written letter to the President. It’s as easy as that!